Parker Plastic Surgery and Aesthetic Solutions is a premier practice providing safe, proven, and effective cosmetic and reconstructive surgery treatments. The practice is led by Dr. Brian Juel Parker, a Las Vegas native, whose family has been dedicated to the medical field since the early 1960s. Patients in and around Las Vegas have an opportunity to receive innovative cosmetic surgery procedures of the breast, body, and face from Dr. Parker. Dr. Parker provides a wide range of plastic surgery procedures at his practice in Las Vegas. The cost of each procedure usually differs because the time, effort, skills, technology, and resources required to perform each procedure are different. Sometimes a patient may need minor changes in appearance, while in other cases a combination of cosmetic and reconstructive surgery procedures may be required. Even within the same procedure, such as abdominoplasty or facelift, the procedure may be performed as a full or partial surgery. In many cases, the cost of the same plastic surgery procedure will differ from one location to another and even from one practice to another within the same location. A number of factors determine the cost of a procedure and make it variable from one place to another. For instance, the cost of breast augmentation or breast reconstructive surgery in Las Vegas may differ from the cost of the same procedure in Philadelphia. This is because the cost of living index in the two places may be different, which will impact the cost of all procedures and services. Local factors such as taxation, scale of competition in the area, and costs of materials and inputs will also influence the cost of a procedure in a particular geographical location. 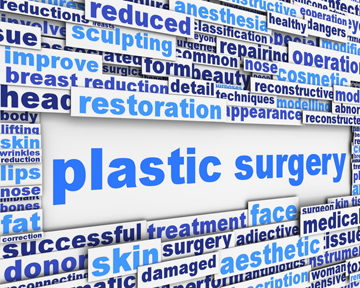 The fee of the plastic surgeon may also have an impact on the overall cost of a procedure. The skills, experience and reputation of the surgeon may influence the fee charged by a surgeon. If the surgeon is very much in demand for a particular cosmetic surgery procedure due to past patient endorsements, he or she may be hard-pressed for time and may charge a higher fee for the procedure. Another important factor is the costs of the surgical facility. A state of the art facility with advanced technology and equipment, backed by a skilled and experienced staff, and providing various amenities and comforts may charge more for its services, which will affect the overall cost of the procedure. New patients may find it difficult to get an idea of the costs of a procedure before they actually meet and discuss the cost aspects with a cosmetic surgeon. To offer a basic estimate of the costs for such patients, the American Society of Plastic Surgeons (ASPS) compiles cost data nationally every year for various plastic surgery procedures. It provides the average cost of a procedure so that the patients can have some basic indication of the costs before they decide to visit a plastic surgeon. According to the figures provided by ASP for 2012, the average cost of breast augmentation surgery was $3,543, the average cost of tummy tuck was $5,241, the average cost of liposuction procedure was $2,841 and the average cost of breast lift surgery was $4,332. The ASPS makes it clear that these are just average figures, while the actual cost of surgery will vary from one practice to another. This basic cost does not include the costs of anesthesia or IV sedation, the costs of operating room facilities, and other related costs. Patients should seek an estimate of the costs of prescription medications, pre- and post-op medical tests, and costs of surgical garments or accessories that may be required with the procedure. Financing options should be explored in case the procedure is not covered under the patient’s health plan.